Houston, despite being on the road, had the better opportunities against Kansas City early, with Brian Ching missing the frame twice on decent chances. Canadian national teamer Andre Hainault scored for Houston by pouncing on a loose ball early in the second half, and Honduras star Carlos Costly added a garbage goal in the 87th minute as Kansas City pushed forward late in the game in a futile attempt to equalize. I watched the other semifinal on ESPN2 last night and it was an obscene display of wealth by the Galaxy, "wealth" meaning top notch international talent. The first goal was a penalty, when Jamaican Andy Williams of RSL took down Galaxy defender Omar Gonzalez in the box. Landon Donovan converted the penalty, but even if that goal did not count, the Galaxy still would have won easily. In fact, the lead was erased only two minutes later so that the teams could start fresh. Colombian Jamison Olave got his head on a corner kick for RSL and the ball went to Costa Rican Alvaro Saborio in the air. Saborio headed the ball past Josh Saunders to level the game at 1 goal apiece. At halftime, the game was still even, at least the score was. But the second half was all Los Angeles. 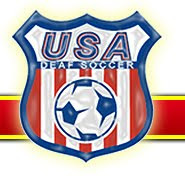 Los Angeles was certainly the better team, with Canadian Will Johnson of RSL blocking a Chad Barrett header, off a cross from Ireland Captain Robbie Keane, on the goal line. Then former England Captain David Beckham sent a picture perfect cross to Mike Magee, who headed it past Nick Rimando to put the Galaxy ahead for good, 2-1. 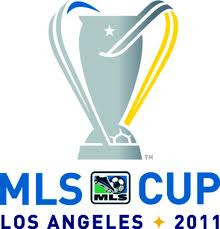 Beckham sent beautiful balls forward for the remainder of the game, just like he has done all season, and soon afterwards Landon Donovan sent a through ball for Robbie Keane on a counterattack that Keane took past all the defenders and into the goal to make the final score 3-1.